How can I sell more and earn more at dotPhoto? Make it easy to find your photos. Sell as many products as possible including downloads. Make it easy to buy: size and aspect ratios correct for key products. Stay in contact with your customers. If you're selling photos on from your web site, the most important thing is to make it easy for people to find your albums. Â You can use or modify the two icons here, and place them in a prominent part of your web site such as the top right or top center under your masthead. The second button is probably more effective -- especially if it's graduation season and your customers are looking for graduation photos. Also, many people still tap on text links instead of icons. 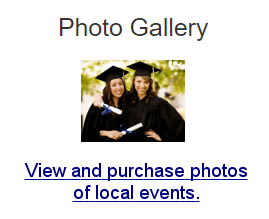 In the dotphoto newsletter, more people click on a text link than on a picture next to it that indicates the same idea. Create your own web site at dotPhoto using the MyWebSiteÂ feature. You will be able to send your customers to your own web site with your own web name where your dotPhoto login replace the "www" in dotPhoto. Â For instance, http://bdag.dotphoto.com -- Â the Billion Dollar Art Gallery. Â Click here to learn how to set up MyWebSite. 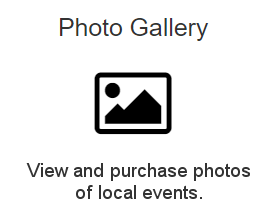 Add your albums to theÂ dotPhoto Galleries. This way, visitors to dotPhoto may find find your photos while browsing, and may buy them. Â Click here to learn how to add your albums to dotPhoto Galleries. Register your own web name and point it to your dotPhoto albums, MyWebSite or dotPhoto account. Â There are many services where you can buy a web name. We like www.namecheap.com because it's a good deal and easy to use. If you have trouble re-directing your URL, talk to dotPhoto Customer Service and we'll help. Many professionals use dotPhoto as their web site. Sell as many products as possible. dotPhoto is adding new products all the time, and you would be surprised what people will buy. The more products that you offer, the more likely you will have a sale. Take the time to set up all the products you can. Many customers today want someone to document an event and give them access to the original images. We also receive calls from professional editors looking for photos of everything from tractor pulls to Thanksgiving dinners. Consider allowing people to buy your photos as downloads on dotPhoto. You can set your own prices in your MyAccountÂ section, but one short-cut is to add $4.90 to all products, and then adjust the higher priced products so that you can earn more. Make it easy to buy: set up size and aspect ratios correct for key products. The largest image required to print everything at dotPhoto is 4800 dots on the longest side. Make sure that you are offering a large enough image to enable your customers to buy posters, framed prints and everything else they might want to purchase. Also, since many people have a difficult time understanding the concept of cropping, you might want to pre-crop key photos for them: for instance, you can create an album of your best wedding photos of the bride and groom called Bride & Groom 8x10s, and another album called Bride & Groom 16x24. dotPhoto makes it easy to share links to a particular photo, album or account. Â Click here to see how to copy sharing links. Â You can contact your customers through your standard email program, or you can use an email service like MailChimp, which lets you mail free to up to 2000 subscribers and up to 12,000 emails per month Â Click here to try Mailchimp for free.